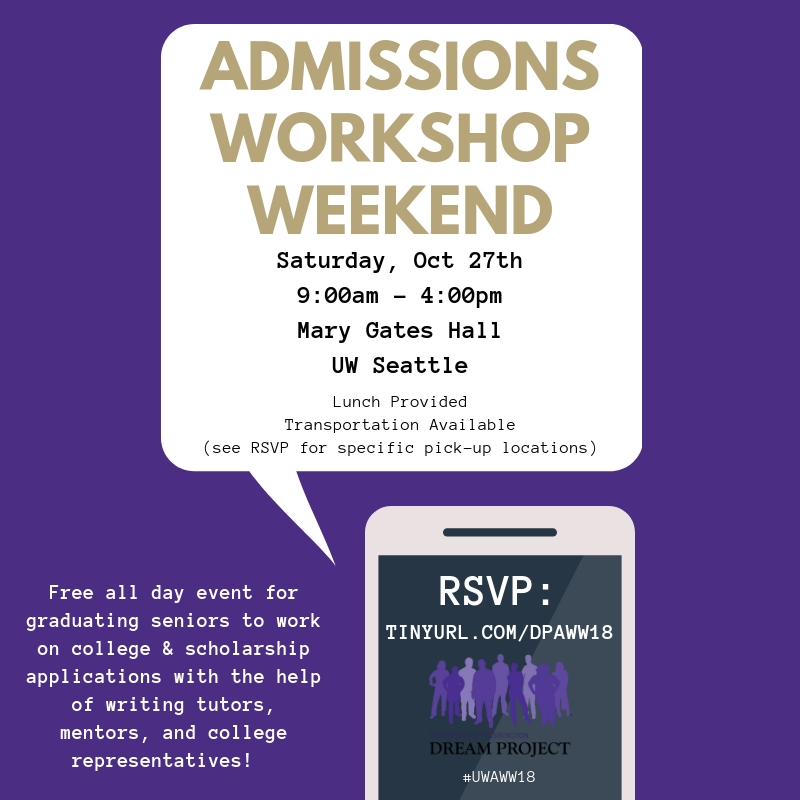 This year our annual Admissions Workshop Weekend (AWW) is taking place on Saturday, October 27th! This is significantly earlier than previous years, and we are looking for volunteers to act as writing tutors and to support our mentees on campus that day. This event places a focus on supporting our mentees (typically high school seniors) who are working on college applications in the face of upcoming deadlines. If you are interested in being a part of AWW, please refer to the following forms for more information: a DP mentor, click here, a volunteer from outside of the Dream Project click here, and finally if you are or know of someone who would benefit from attending AWW click here. 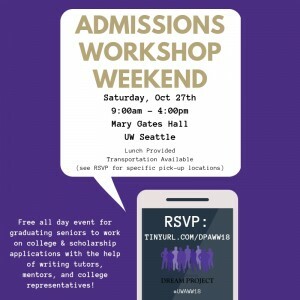 If you have any questions about AWW or getting involved, email Jared Robinson at jaredr13@uw.edu.